NEC is the first company in the world to deploy the new oneM2M service layer standard in a live smart city control center deployment. 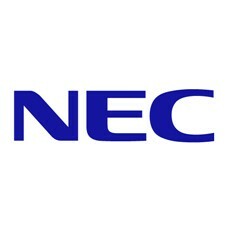 NEC Corporation, a leading network, communications and information technology company, today announced that it is the first company to test the new global oneM2M service layer standard in its Cloud City Operation Center (CCOC) solution to enable machine-to-machine device interoperability in a live smart city program. Around the world cities are beginning to deploy a diversity of M2M sensors to improve the efficiency of transport, lighting, irrigation and refuse collection services and boost public safety levels by minimizing pollution and waste. NEC’s use of the open oneM2M specification makes it possible to collect data from a diversity of sensors in a consistent and secure way for statistical and billing purposes and use robust data management models to enable cities to make informed day-to-day management decisions. NEC’s Cloud City Operation Center (CCOC) solution is based on the FIWARE open source API-enabled platform and Generic Enabler, created by the EU-funded Future Internet project. The oneM2M stack has been added to this setup and connected to the Internet-of-Things (IoT) broker. It uses NEC’s big data analysis platform for mass M2M data collection and processing. The Operation Center’s advanced dashboard enables KPIs (Key Performance Indicators) to be quickly cross-referenced and visualized to provide a fast overview of the status of the city. For example, data sets on traffic, carbon monoxide, temperature and wind levels can be cross- referenced using the intuitive user interface so localised air quality alerts can be automatically issued. Using oneM2M, sensors can be integrated using highly efficient local area protocols, such as the IETF’s (Internet Engineering Task Force) CoAP (Constrained Application Protocol) or MQTT (Message Queue Telemetry Transport), which is currently being standardized by OASIS (the Organization for the Advancement of Structured Information Standards). NEC is also developing a new Open Linked Data service layer to enable M2M sensor data to be easily connected and queried by third party businesses and used in innovative social media and mobile apps to benefit citizens around the world.